The quality controller is very serious and meticulous. First, he took photos for the cotton-nylon flame retardant fabric bulk. And randomly take 10% rolls and meters from the bulk, carefully checked the packing, labels, roll numbers and meters of the roll, checked the packing list one by one. When start the testing, carefully measured and checked the effectively width. The flame retardant fabric weaving, dying, second grade, and recorded all details, also took pieces fabrics from the roll and send to the test center, staring the test processing. Because of the excellent quality, test result shows the fabric weight are even, carbon length, water & oil proof, color fastness all meet the needed standards. The QC informed our bulk weaving and dying and second grade all less quantity. Fabric surface flat, packing in roll flat and neat, neat edge, packing clear and neat, clear writing labs content, roll properly stored. The inspection is OK and can be shipped. Through each inspection, we have seen that only our flame retardant fabrics are of good quality and timely delivery. The trust of our customers is 100%. 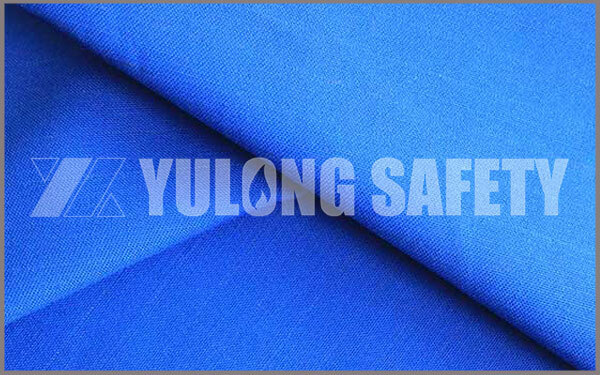 Our confidence in Yulong's flame retardant fabrics is also 100%.